As the leader among the best residential and commercial roofing contractors Salt Lake City has to offer, S&S Roofing is pleased to offer our services to property owners throughout Salt Lake City, Park City, Heber, Kamas, and nearby areas. We are a premier roofing contractor with over 35 years of combined experience. We have been roofing Salt Lake City, UT and the nearby areas since 1981. Today, S&S Roofing is still committed to delivering 100% satisfaction to our many loyal customers. S&S Roofing is proud of our team of the best roofing contractors Salt Lake City has to offer, all of whom are licensed, bonded, and insured roofing specialists. 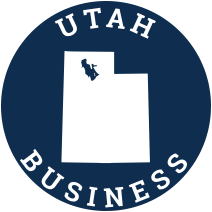 Our company is accredited by the Utah Better Business Bureau and boasts a well-deserved A rating. We are also certified installers of premium roofing materials from the world’s top manufacturers so you can be sure your investment is protected by the best factory warranties from GAF, Tamko, CertainTeed, Durolast, and more. We work hard to give you your money’s worth, regardless of job size. At S&S Roofing, your satisfaction is our top priority. New roof installation – asphalt shingles, cedar shingles, single ply membrane, metal roofing, built up roofing, etc. To learn more about our company and our current special offers, feel free to contact S&S Roofing by filling out our online form or through the following channels: Mail: 869 East 4500 South #321, Salt Lake City, UT E-mail: sandsroofing@msn.com Phone: Salt Lake City (801) 973-1676 / Park City (435) 659-2294 Fax: (801) 665-1901 We accept payment through MasterCard, Visa, Discover, and American Express. For a free estimate on your roofing project, call S&S Roofing today!